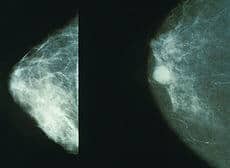 Changes in the way the body breaks down estrogen may be one of the ways exercise cuts a woman’s breast cancer risk. This according to data published in Cancer Epidemiology, Biomarkers & Prevention, a journal of the American Association for Cancer Research. Kurzer and her colleagues conducted the Women in Steady Exercise Research (WISER) clinical trial, which involved 391 sedentary, healthy, young, premenopausal women. They randomly assigned the women to two age-matched, body mass index-matched groups: a control group of 179 women and an intervention group of 212 women. While women in the control group continued a sedentary lifestyle for the entire study period, women in the intervention group performed 30 minutes of moderate-to-vigorous aerobic exercise five times a week for 16 weeks. Aerobic exercises included the treadmill, stair stepper or elliptical machine. The researchers adjusted the workout intensity for each individual so that the maximal heart rate was uniform among all participants. Eighty-six percent of participants from the control group and 78 percent from the intervention group completed the study. The researchers collected 24-hour urine samples on three consecutive days prior to study initiation and on three consecutive days at the end of the study. Using a state-of-the-art technique called liquid chromatography/tandem mass spectroscopy, they measured the amount of three parent estrogens, E1, E2 and E3, and nine of their breakdown products called metabolites, in the participants’ urine samples. According to Kurzer, estrogen metabolism favoring the production of a metabolite called 2-hydroxyestrone (2-OHE1) over one called 16alpha-hydroxyestrone (16alpha-OHE1), which results in an increase in the 2-OHE1/16alpha-OHE1 ratio, has been linked with a reduction in breast cancer risk. She and her colleagues found that aerobic exercise led to an increase in the amount of 2-OHE1 and a decrease in the amount of 16alpha-OHE1, which led to a significant increase in the 2-OHE1/16alpha-OHE1 ratio. There were no changes in the 2-OHE1/16alpha-OHE1 ratio in the urine of control group participants.